The builders best friend and ideal for building houses and any round the property brickwor.. Combination of sand and stone.. This product is ideal for building up garden beds and vegetable patches.Product available .. 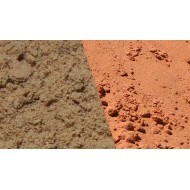 This product is commonly used as paving sand, top dressing lawns and sand pits for the kid..